Rockwell: Good morning. This is the Lew Rockwell Show. And how honored we are to have as our guest this morning, David Smith. Dave is a comedian. He was the star of the Mises University this summer. He’s a podcaster, a political commentator. He’s a contributor to S.E. Cupp Unfiltered on the HLN network, as well as he’s host of the popular podcast, Part of the Problem, where he expounds upon current events, the government, foreign policy, and all things Libertarian in a very entertaining way. Dave’s debut comedy special, Libertas, was one of the top comedy specials in 2017. He’s been featured at the Montreal Comedy Festival, the Moontower Comedy Festival and the New York Comedy Festival. And he’s been a guest multiple times on the Joe Rogan Experience. Smith: Well, thank you very much. I appreciate that. It’s a real honor to be here. I’ve done the Mises Weekend podcast, the Tom Woods Show, the Ron Paul Liberty Report. So now to be here with Lew Rockwell, I feel like this is it. I’ve got nothing to live for anymore. I’ve done everything I want to do. Rockwell: Dave, were you always funny? Were you funny as a kid? Rockwell: That’s tremendous. And do you find a comedian with your views has problems going on college campuses? Are you barred or do you still go and find – what happens on campuses? Smith: I haven’t been on a college campus at this point for years. Even comedians who strongly have my point of view feel the same way. I mean, even Jerry Seinfeld said he doesn’t like doing college campuses anymore and he’s really just making jokes about like peanuts on airplanes and stuff like that. But it’s not even so much anymore if – if you’re a Libertarian or a right winger or something like that, you’re going to have a problem. If you don’t buy into every single left-wing orthodoxy, you’re going to have problems. You know, to me, it’s really crazy because maybe I was sort of naive, and also things changed over the last few years, but when I first started, I was like, oh, I think I’m the type of comedian college kids would love because I’m talking about issues and government and politics and things like that, but they’re really not interested in it at all. Rockwell: So tell me, what do people laugh at? What do your people laugh at? Smith: Well, I mean, I think people in general, when you get away from – I mean, with the exception like I was saying of universities and perhaps particular shows in certain areas, in general, I think people are very much willing to laugh at all of the absurdities of what’s going on. And that when you get into like a comedy club, a lot of times nowadays people are kind of starving for that because during the day everybody, you know, out in polite society, everybody has got to be dug into their position. And one of the things that I do is I – and this is partially because I’m an Anarcho-Capitalist Libertarian – I can easily make fun of everybody because I don’t really have a dog in the fight. I don’t prefer really the Republicans or the Democrats. I think they’re all crazy. And so once you start making fun of everybody, I think it gives people a little bit more permission to laugh. Rockwell: And everybody is worth making fun of, obviously. The Republicans are horrible. Maybe more horrible than the Democrats. Smith: Yes, that’s for sure. And that’s kind of the weird thing that gets lost today is that it’s like you either have to hate Donald Trump and think Barack Obama was the greatest president ever, or you hate Barack Obama and think Donald Trump has saved the country. And, as we all know, the reality of the situation is that both of those positions are fairly absurd. And that always makes for a lot of humor. Rockwell: You know, one of the things that got a laugh, one of your remarks that got a laugh when you were at the Mises University was that people thought, well, the two parties are the same, the presidents are the same. Fundamentally, Bush and Obama were pretty much the same, but Trump turns out not to be the same. Smith: Well, that’s for sure. And in many ways, it’s a breath of fresh air. You know, unfortunately, the areas where – I mean, personally, he’s not the same as anybody. Like the establishment wanted to run Jeb Bush versus Hillary Clinton in this last election. And for the life of me, I can’t figure out what the difference is. There’s not a centimeter between those two of difference. Donald Trump, personally, is a very, very different person. And honestly, I think most of the stuff that he’s doing that’s different is positive. Unfortunately, from a policy perspective, the things that are the same, like record-high government spending, record-high military budgets, the wars in the Middle East, that’s the really bad stuff. And there’s something kind of hilarious about the media wants to mock Donald Trump as this kind of unique evil, like he’s so much worse than anything else we’ve had, but really the worst things he’s doing are the continuations of Obama’s policies. And the other stuff that they’re furious about is, like, oh, my god, he met with the Russians and tried to have detente with Russia. This madman who doesn’t want nuclear war. And that stuff is pretty good. Rockwell: David, how did you become an Anarcho-Capitalist Libertarian? Smith: Well, my Libertarian origin story starts, as so many people my age, it was the Ron Paul/Giuliani moment. I had no idea what a Libertarian was. I had heard Bill Maher use the term a few times, like in the ‘90s. And I wasn’t a super political person but I grew very disgusted with the Bush administration. And I thought the wars were terrible and the Bush administration was doing a terrible job. And then I happened to be watching a presidential debate and I saw Ron Paul take on Rudy Giuliani and I was just like, who the heck is that guy. I’ve got to learn more about him. And it was that he was making such a crisp, clear point. And then the courage that he showed to give that Republican audience the most-bitter pill you could imagine. You know, the most-bitter pill. Like, oh, you know how you rail against these terrorists and you just praise the military, well, here’s the real story. And then when he was asked to apologize, he refused. I was just like, I’ve got to learn more about this guy. So I started looking him up and reading more of his books. Shortly after that, I found Tom Woods and Peter Schiff. And I started reading a lot of Tom’s stuff. Tom kept talking about this Murray Rothbard guy. He wouldn’t shut up about him. And I was like, all right, let me check this guy out. And once I started reading Murray Rothbard, I mean, I don’t have to tell you. You know, his writing, it hits like a punch to the chest. And then I found the Mises Institute. I spent more hours than I could ever count on Mises.org. I’m incredibly grateful to you for creating that site. And whenever people have a particular question for me, well, how would this work and how would that work, I say, go to Mises.org, all the answers are there. And, yes, I was just convinced. Rockwell: Well, that’s great for our side, is all I can say, because you’re a tremendous asset. You’re our star comedian. And tell us, can people go online and hear you or do you have any of your routines available to listen to? Smith: Yes. Well, I put out my first comedy special last year. It’s called Libertas. And you can get that at gasdigitalnetwork.com. And you can also find my podcast Part of the Problem there. So I’ve got hours and hours and hours of podcasts up. And that full hour of stand up is available. And then you could also probably find some stuff on YouTube. Rockwell: And, of course, we’re going to link to all of these wonderful items on this podcast. So, David, what do you see as the future and what’s your feelings about the future for the country and the future for ideas and maybe the future for your kind of comedy, too? That’s not going to be an easy sell. And also that a lot of people I think, to some degree, in a response to the left-wing craziness that’s happened over the last six years or so, a lot of people on the right side kind of abandoned Libertarianism and went into a more nationalist mode. And then we also had the bubble burst. And the Austrian economists were the only ones who could explain to you what happened there. But the mainstream view was, I think, greed got out of control between 2006 and 2008 or something like that. It was ridiculous. And so I look at the situation now and, I’ve got to say, I mean, they’ve been building up this new bubble for quite a while, and if that bursts, I think that might give Libertarians an opportunity for another big national moment. Unfortunately, this bubble now is so big that the pain that it’s going to cause when this bursts could also lead to some of the more radical movements. Like what truly scares me is if this bubble bursts on Donald Trump’s watch and you see these Democratic Socialists gaining steam in the Democrat Party. I mean, that’s a recipe for disaster right there. So I don’t know. I don’t know what people will want to laugh at. I’m just finding the funny where I can. But hopefully, we have another Libertarian moment. Rockwell: Well, you’re going to help us bring it about, if anybody does. I remember, of course, Ron’s Giuliani moment. And I called him up immediately and congratulated him. And he felt that it didn’t go well. And I said, Ron, that was just one of the greatest things I’ve ever seen; it’s tremendous. And as you knew, immediately, it was a turning point. And Ron has still got his Liberty podcast TV show every day. He’s still going strong. Libertarianism is going strong. 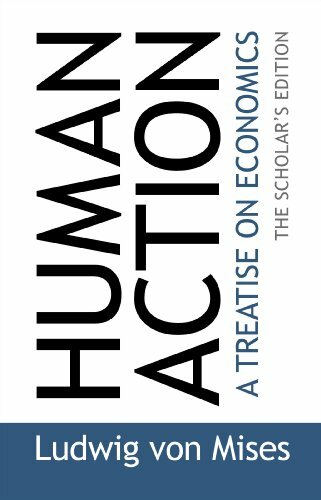 Murray Rothbard is probably the best-known economist in the world today, in terms of regular people reading him, anyway. And I remember when I blogged that once, some of the Milton Friedman followers said, that was a terrible thing to say and it was really very unfair because all of Rothbard’s works were available for free on the Internet at the Mises Institute and Milton Friedman’s books were all very expensive and you had to buy them. I said I didn’t find that a compelling argument. Smith: Yes, right. That’s an interesting take on it. Of course, it absolutely drives people crazy. And it’s amazing that it still does. You would think that, at this point, it would be like, you know, water under the bridge, but it still drives people crazy that Rothbard is having more impact than any of these guys. Because their big argument was like, OK, well, Murray Rothbard, he might be more pure than us, he might have gotten a few things right that we got wrong, but he was so ideologically pure that he could never have a real impact. That was kind of their big argument. And then when they see that not only was he more pure, not only was he more correct, but also that’s what actually motivates people, that is what actually is having a big impact, their entire argument comes crashing down. So they do not like the fact that people are online, that they can still read Rothbard’s stuff. And you know, look, Milton Friedman was OK on some issues. He had some good appearances on Donahue. 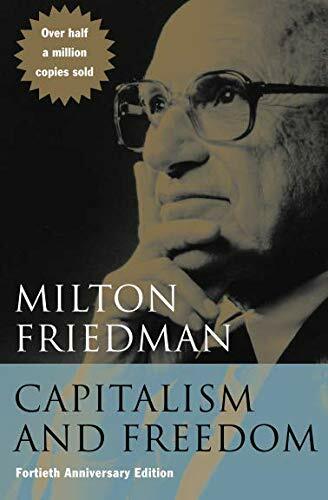 But who could ever read some of Milton Friedman’s stuff and think it hits with a fraction of the force that Murray Rothbard’s work does. It just doesn’t. Rockwell: Murray’s work is so powerful, you only have to read one of his monographs, even one of his articles, and it can change your life. Smith: Oh, absolutely. 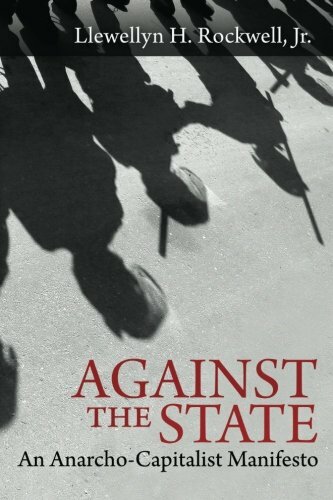 To this day – and I always recommend when people are saying, oh, what’s the first thing I should read, I always say Anatomy of the State and War, Peace and the State. Those two, I mean, essays or pamphlets or whatever you would call them, they absolutely changed my life. 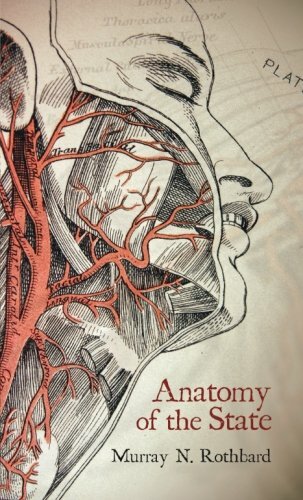 I remember having to put down Anatomy of the State at one point and just go, wow. I mean, it’s like they’re powerful, powerful pieces. And once you have that information, you can’t unlearn it. Smith: Right, yes. I mean, that’s an interesting – you know, it’s like a shame to me that he didn’t kind of get to see some of the fruits of his labor in his lifetime. But it really is unbelievable when you heard, like, you know, when you read the despicable William F. Buckley piece that he wrote about Murray Rothbard after he passed. But there is something kind of vindicating in the fact that ultimately, maybe not in this world, but Murray Rothbard gets the last laugh where I have never in my life heard an intelligence young person come to be and say, you know, I just read some William F. Buckley and it really changed my mind on this issue. I mean, that just doesn’t exist. Rockwell: I mean, I don’t think young people even know who William F. Buckley is, or was. Smith: Yes, yes. That’s right. Rockwell: So he was a bad guy. He was one of the first Neo-Cons. And from his writings, starting in the late 1940s, he was advocating a massive state in order to fight the Communists. And once the Communists were defeated, well, just the funniest thing, he didn’t want to get rid of that massive state. He wanted to keep it. Smith: Right. And there’s something interesting about that moment when, you know, it kind of exposed the phoniness of all those Cold Warriors. And also, it exposed who the very few honest ones were, and it turned out the honest ones were few and far between. But like Pat Buchanan, for example, who, once that was over, were like, OK, well that’s it, we can go back to having a small government now. And he found out pretty quickly that that wasn’t the game plan. Rockwell: No. 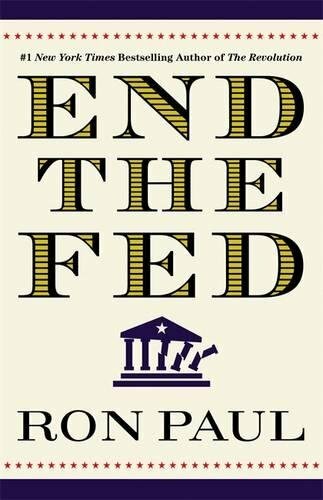 And the great Neil McCaffrey, who was the publisher of Arlington House Books and published Rothbard and Mises and other greats, had been a Cold Warrior, but he immediately stopped it when the Cold War was over. And in fact, he reevaluated his views previously. So there were men like that, but not too many. Most of them stuck with the plan and wanted jobs within the government. They wanted to be paid massive amounts of money for praising the government, as Mr. Buckley was. 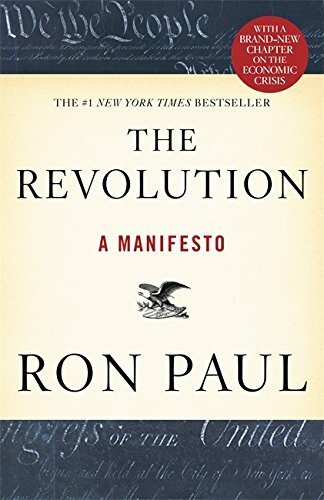 Smith: Me and Scott Horton, from Antiwar.com, we’ll talk on the phone and our favorite counterfactual to history – and we’ll just fantasize about this for probably way too long – but we go, OK, Ron Paul wins the presidency in 1988, the Soviet Union collapses on his watch. Ron Paul is president. He goes, great, guys, we’re abolishing the CIA, we’re slashing the military budget by two-thirds, we’re returning back to being the city on the hill. No one can argue because it’s like, hey, we won the Cold War; congratulations, victory; now we get rid of all this stuff. But of course, that was not the way it went down. Unfortunately, we had George H.W. Bush in there who was not quite so good. Rockwell: When Ron Paul was running in 1988 for president and Bill Buckley invited him on his show, and I guess the P.R. guy got Ron on the show, and Ron went on there, and Buckley was polite and friendly. And then he said, what is this about you wanting to abolish the CIA. And Ron Paul gave a very eloquent, short reasons why the CIA was against American interests, against interests of other countries and absolutely should be abolished. And Buckley became so vicious, so nasty, and that’s because he was a CIA agent. Rockwell: And these guys, I think they say the same thing about the KGB, you never stop being an agent. You’re always in the CIA. Even if you’re not being paid, you’re expected to obey if you’re asked to do something, and you’re expected to always defend the agency. And certainly Buckley, all his life, was a CIA guy. Rockwell: Well, there was an Operation Mockingbird set up by the CIA in the 1940s to infiltrate the media. I think it still goes on; whether it has a different name or not, I don’t know. But there are people imbedded in the networks and the various big websites and in the publications to do the CIA’s bidding to make sure that all the media sing the same song. I noticed the other day there were all the members of the heads of the intelligence community – by the way, anything called a community in Washington is evil. But anyway, they were all there at the White House to discuss the Russians fooling with American elections. And so a reporter asked Dan Coats, who is the director of National Intelligence – and a guy I’ve met, and is he the dumbest guy in Washington? I don’t know. He would be in the running, anyway. So they asked, can you give some examples of what the Russians did, and there was humma, humma. He couldn’t come up with an example. Rockwell: And we’re supposed to bow down and obey these people, honor them, and always praise them, when they really are our enemies. Smith: And, really, it’s so sick. It’s like a Biblical-level evil. You know, like something out of like Satanism or something like where you’ll see how dangerous the game that they’re playing is. So like whatever evidence has been put forward, basically, from my understanding, I mean, since like about 1919, the Russians and the Americans have both tried to interfere in each other’s elections with minimal success. The Russians put some Facebook profiles up to try to influence people or whatever? Like that’s basically what they’ve got. And then they’ll say, Russia attacked our democracy. You’re like, man, that is so dangerous to just put it out there like, basically, these guys attacked us. So what’s the logical conclusion if they attack us? Well, we should attack them back. The fact that you’ll just provoke war with a nuclear-armed power, as Donald Trump said, the two powers who have 90% of the nukes in the world. I mean, it’s so incredibly dangerous. And it’s like even as anti-war as I am – like I’ve been against all of these wars since I was converted by Ron Paul and even before then. But the war in Iraq was terrible. Libya, Yemen, all these places, Syria, it’s all terrible. But a war with Russia? You’re like, guys, you actually want to flirt with destroying all of humanity? Rockwell: They practice what John Foster Dulles called brinksmanship. Rockwell: So it was important to get right up to the brink of a third world war and to make the Russians do whatever the Americans wanted them to do. They’re crazy. Rockwell: And they’re evil, as you point out. One of the great things you’re doing is waking people up to this and making people laugh at them. They can’t stand to be laughed at. It’s great to criticize them seriously, but to make people laugh at them is really, I think, about the greatest thing one could do. Rockwell: Dave, I can’t thank you enough for coming on the show. And I know you’re going to say you’re not, but you’re a Libertarian leader. And you’re making people laugh, you’re educating people, you’re changing people’s minds, and you’re entertaining people. Which it’s very, very important to have a good time while doing the work that we all must do. So thanks for all you do. Thanks for coming on the show. And congratulations on your coming baby and on your 2019 tour. And great to talk to you. Smith: Well, thank you so much. As I said before, it’s an absolute honor to be on. I’m so grateful to you personally for everything you’ve done with the Mises Institute and the greatest website in the universe, Mises.org. So once again, it was a real honor to meet you at Mises University and an honor to be there. And it’s really great to talk to you today. Well, thanks so much for listening to the Lew Rockwell Show today. Take a look at all of the podcasts. There have been hundreds of them. There a link on the LRC front page. Thank you.